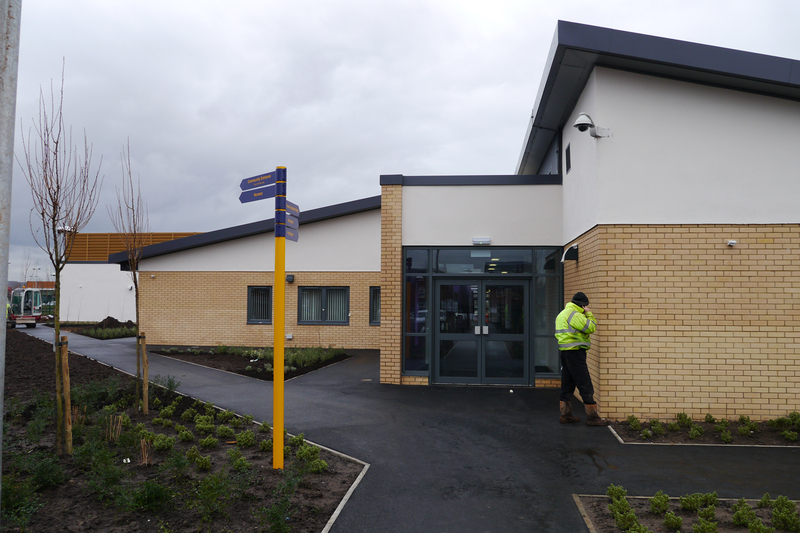 A new build 2 Form Entry Primary School located on a former American Airbase in the newly created Chapelford Urban Village. 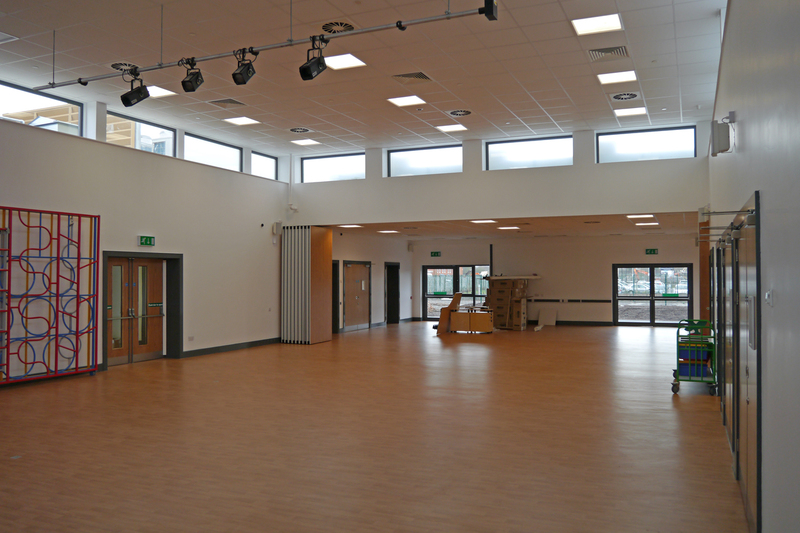 The first impression upon approaching the school is of a vibrant and dynamic learning environment. 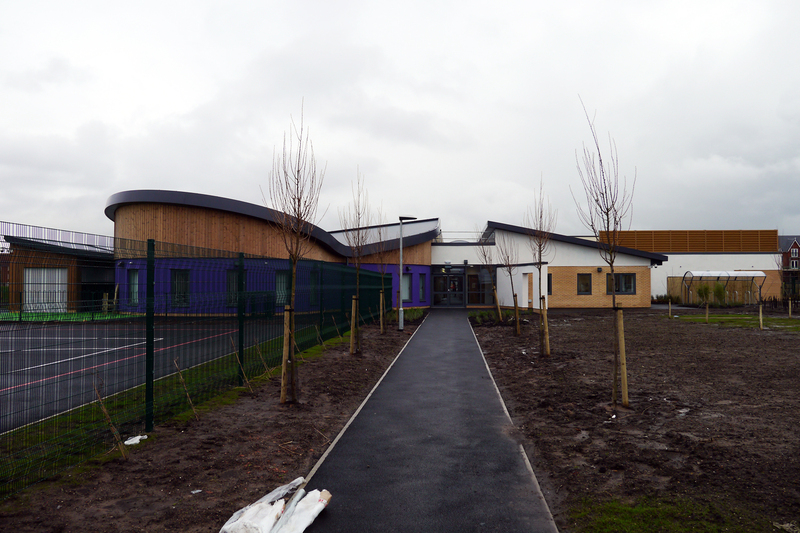 A feature wall of clay tiles made by the children, alongside the sweeping curved form of the reception class, channels visitors towards the entrance doors. 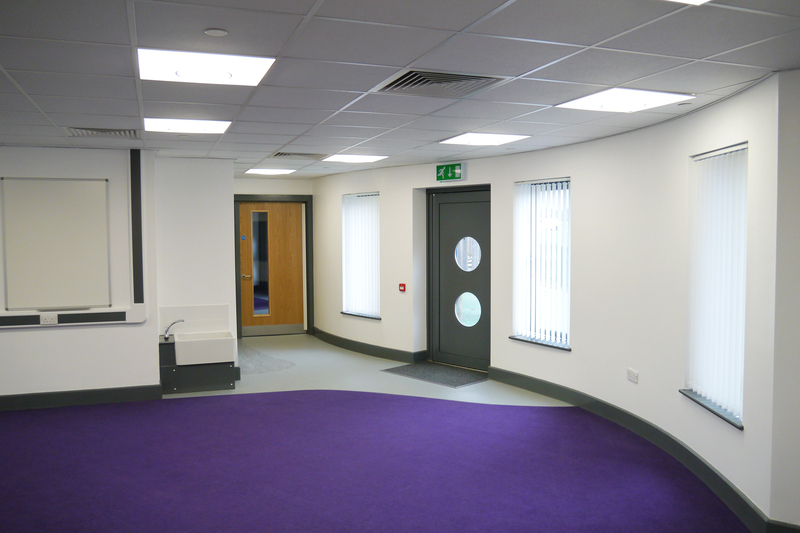 Upon entry to the building, staff and children are presented with a bright and airey space, with a view down the learning street that sets a positive expectation for the remainder of the building. Externally the different uses of the building are readily identifiable by means of their form and colour. 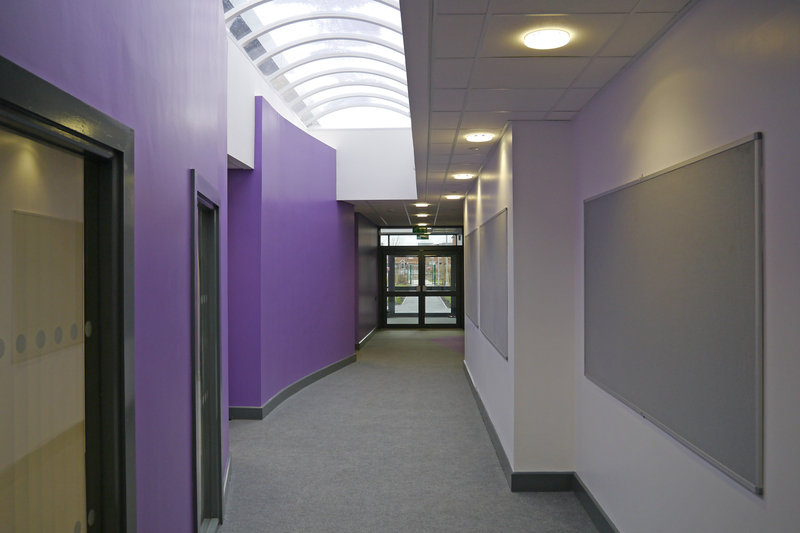 Bold forms such as the reception class pod, the curve of the learning street corridors, and the angular bays on each classroom add interest and rhythm to the schemes composition.